"Hello, is this the FBI? I've got a huge case." Our girl, Bella Thorne has a new tattoo. Not just any tattoo though. It's a mystery tattoo! Celebrity tattoo artist, Jon Boy came through with a tattoo for 19-year-old Bella and now everyone is trying to figure out what exactly it could mean. There are a few different theories about '93'. Tattoos can be deeply personal things with hidden meanings. That being said, let's run through our options. Spooky! 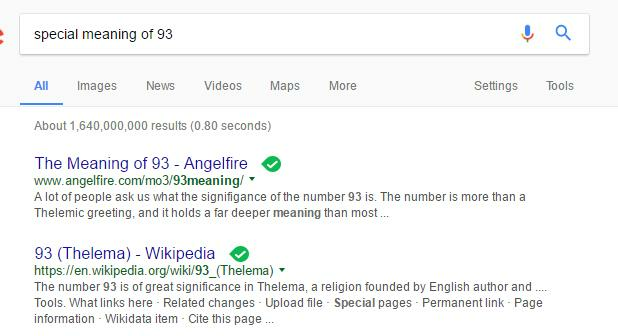 "93" is often used as a greeting in the Thelemic religion. But is it likely? I would now like to present a far more likely theory. '93 isn't Bella's birth year (she was born in '97) but her sister is a '93 baby. Bella and her sister are close so this could be a shout out to Dani. Plus Dani just celebrated her 24th birthday on Jan. 19. Now, one more theory for the numerology fans in the audience. "Angel Number 93 is a message to let go of any situations in your life that are no longer positively serve you. Allow the 'old' to leave your life and do not cling to situations out of fear." Don't say we never told you anything useful.